This was one of my favorite new cigars in a long long time. First off, construction was flawless. Burn line was perfect. Only lost ash twice during the entire smoke. Flavors we're incredible. I imagined it was going to taste like the KFC from Drew Estate,which I like,but in my opinion this was better!! Much better! I smoked it til my fingers were burning! Truly first class cigar!! Just received my first ever order from Flatbed-a four pack of KFC. Time to ship was just a day and received them abut a week later all the way to Canada. Shipping charge was reasonable, not the 35 or 40 dollars others charge from the US. Loved the burlap sack packaging and inside the cigars were very securely packaged in plastic with a Boveda pack. A great first experience from Canada. Have already placed a second order. I received this as a free sample with my last order. Helluva cigar! It has now become one of my top 5’s from Flatbed. Great flavor. I highly recommend this one...you won't be disappointed. I ordered a sampler of these sticks approximately 4 weeks ago. This product was well constructed with no burn issues noted. I would describe this stick as light bodied with good flavour throughout the smoking experience. 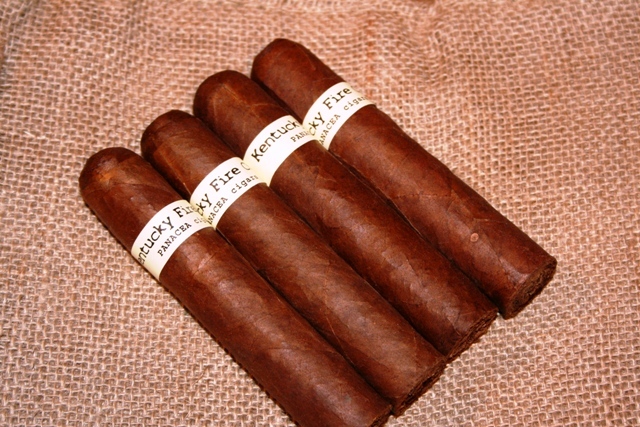 The smokiness I expected from a fire cured tobacco not present or was very subdued in nature. A very good product all in all an a pleasant smoke.